If you create an application with VisionX, it's always a JVx based application. 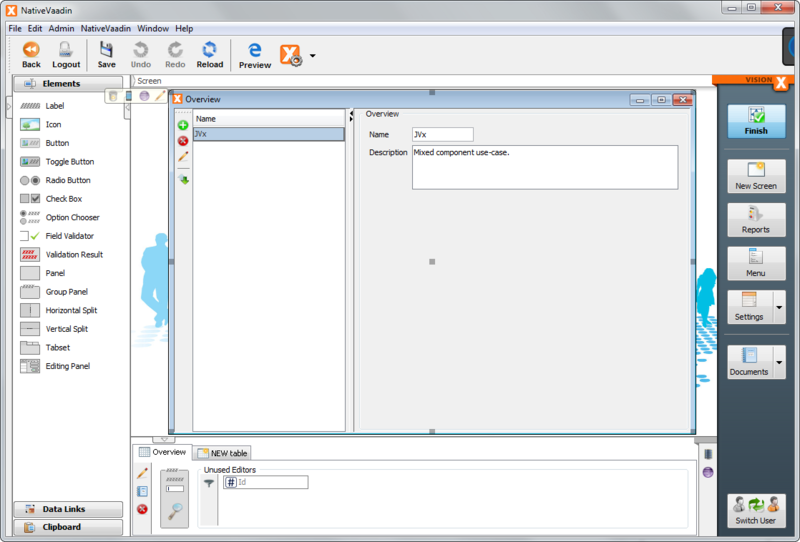 You get all advantages of JVx and its GUI independency, but sometimes the GUI indepency is not important and you want to use native GUI controls in your JVx application because JVx doesn't contain the GUI control or you need a commercial control. This is a very simple use-case and it's not a problem to mix JVx components with native components. We have different examples, with different GUI technologies, for this use-case. But we don't have a link for our Vaadin implementation. But no problem, here it is! The screen contains a simple table and two editors. Nothing special. 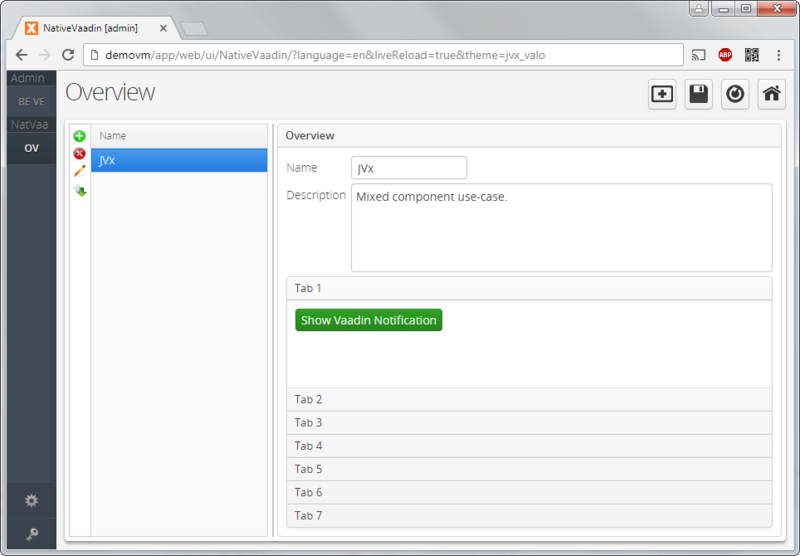 Now we want to add a custom Vaadin component in the empty space. It doesn't matter which component you use. 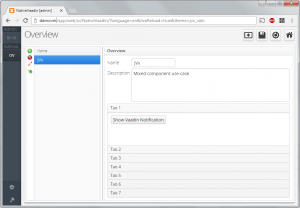 Every vaadin component or AddOn component can be used. JVx doesn't do specific things, it's only an UI abstraction layer. Interested in the source code? So, what are the most interesting parts in our code? is important for VisionX because the vaadin components aren't available in Swing, so we use this check for the supported environment. So far, we mixed native vaadin components with JVx components. It's super easy to use, isn't it? The button got the friendly style, which is defined in Vaadin CSS. Check some examples. This example is using predefined CSS from vaadin. It's also possible to set custom styles in your own css file. Simple follow this instructions. 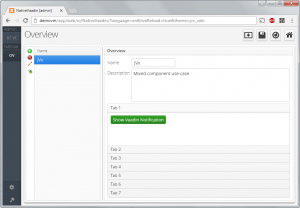 This article covered the integration of native vaadin components into an existing JVx application with all advantages of vaadin.